The lowdown: Striking and seductive vampire tale from debut feature director Ana Lily Amirpour. A mash-up of David Lynch weirdness, Jim Jarmusch monochrome cool and Sergio Leone’s exaggerated framing, it’s bold and inventive in its use of vampirism as a metaphor for female empowerment. Made in the US, but set in Iran and shot in Farsi, as debuts go it recalls the intoxicating weirdness of Rian Johnson’s Brick. The full verdict: Always nice to see a movie that does something out of the ordinary with horror’s most suave monster. Not for Ana Lily Amirpour the 12A soppiness of Twilight or the deadheaded noise of Blade. The vampire here is The Girl (Vand), nocturnally wandering the streets of Bad City (shot in the desolate roads of a Californian one-time oil town). She comes across pimp and drug pusher Saeed (Rains), laying the smack down on sad-eyed prostitute Atti (Marno). After The Girl pays a messy visit to Saeed, local lad Arash (Marandi) is able to lift himself off the breadline by selling the dealer’s stash, although he’s still troubled by his father (Manesh), a junkie customer of Saeed. 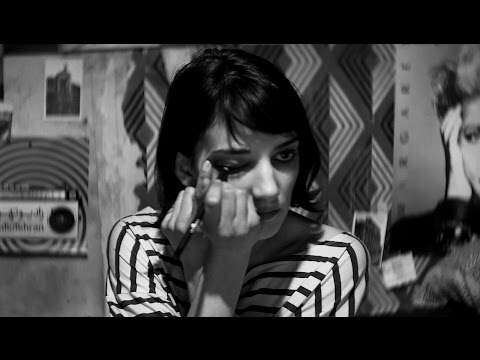 A Girl Walks Home Alone At Night’s influences can be felt in Abel Ferrara’s The Addiction, Let The Right One In and even the little seen 1996 David Lynch starring curio Nadja. 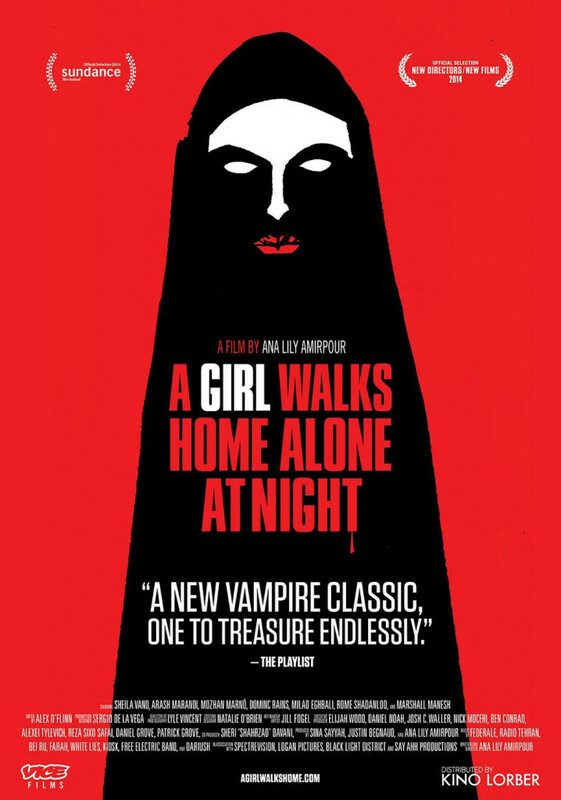 But, Amirpour scores using vampirism as a metaphor for female empowerment and liberation. In the otherworldly town of Bad City (a place where bodies are dumped, not buried, in a large dry riverbed), she is the only character who walks freely and the only one who can rival the men who threaten Atti – bloodily if need be. The Girl also ensures the next male generation is kept in check, striking fear into a young urchin (Eghbali) before making off with his skateboard, which allows her to glide from victim to victim as vampires should. Those hoping for a wry look at modern Iran will be disappointed; Amirpour is more interested in mood than satire. But, there is no doubting the talent on display, the director mixing in superhero and Western motifs as well as vampire movie history (Arash dresses as Lugosi’s Dracula for a fancy dress party and unknowingly attempts to seduce the real vampire). With a leisurely pace, intriguing characters given life by a talented cast, and a plot that frequently pauses for a cool dance number, this has a distinctly mid-90s New Wave feel to it, notably the movies of where-is-he-now Hal Hartley. Amirpour’s next film, the Keanu Reeves and Jim Carrey starring cannibal love story The Bad Batch, will reveal if she can make good on the promise of her often hypnotic debut.